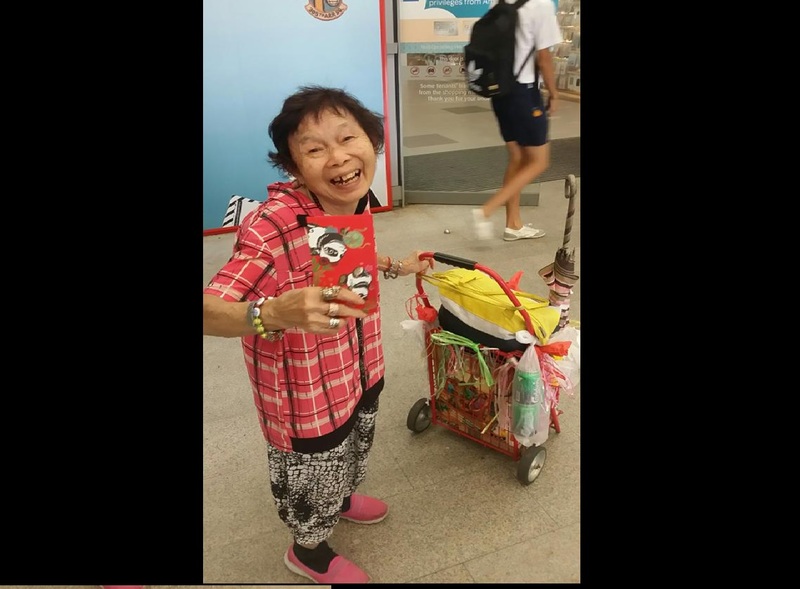 NETIZEN IS HEARTENED TO SEE ELDERLY AUNTIE SMILE AFTER RECEIVING ANG BAO! You are at:Home»Featured»NETIZEN IS HEARTENED TO SEE ELDERLY AUNTIE SMILE AFTER RECEIVING ANG BAO! Made my day to see this elderly cardboard collector smiling so happily after collecting our angpow at Nex Serangoon. We will distribute more angpow this Saturday to elderly homeless folks at Chinatown. Previous ArticleWhy are we chasing after degrees only to be unemployed? HARD QUESTION NETIZEN ASK HIMSELF! Next Article NETIZEN CLAIMS THAT CLEANER EMPTIES CONTENT OF RUBBISH BIN INTO RECYCLING DUMPSTER!